After breakfast you leave from delhi for Haridwar Haridwar is a significant holy city marked by gorgeous views of River Ganges and numerous holy shrines. Haridwar literally means Gateway to God and indeed here one can feel the divine presence. According to Hindu mythology, Haridwar is one of the holy sites where drops of elixir of immorality had spilled and thus a bath in the holy Ganges is believed to free the soul off all malice.An eventful day in the sacred city will reach its zenith in the evening when you will get to witness the Ganga Aarti at the Har-Ki-Pauri. At sunset priest perform the Aarti ritual when lighted lamps are set on water; this evening will prove to be most soul-stirring and divine spectacle of your entire tour. Early morning drive will take you to Birhi via Karanprayag. Spend some time at the banks of the enthralling sight of confluence of rivers. Its mentioned in the famous Hindu epic, Mahabharata as the place where a Karna had worshipped Sun God. Spend some time simply gazing at the spectacular sight of confluence of two holy rivers River Alaknanda and Pindar occurs. Later resume the journey to Birhi where on arrival you will be escorted to a well-furnished hotel for overnight stay. Drive to Govindghat and then start trekking to base camp at Ghangaria Stay overnight at Ghangaria. 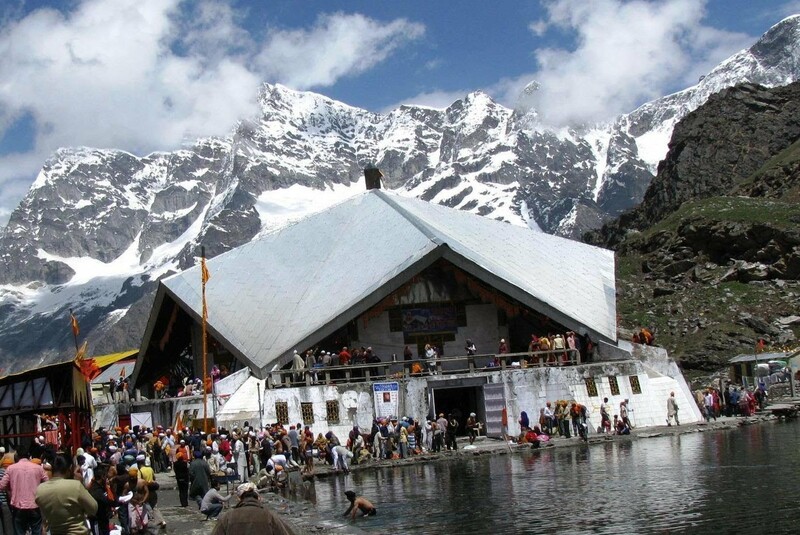 Start trekking early in the morning to reach the renowned holy shrine of Hemkund Sahib. One of the most revered holy shrines for Sikhs, Hemkund Sahib is the worlds highest Gurudwara situated at an altitude of 4,329 mts. On arrival visit the gurudwara and enjoy the divine aura that surrounds. Afternoon brings trek down to Ghangariya where rest of the evening is free for rest and relaxation. Early in the morning start trekking to reach UNESCO applauded Valley of Flowers. A beautiful World Heritage Site, Valley of Flower is a National Park, nestled high in the western ranges of Himalaya, India.The park is renowned for its lush meadows of widespread alpine flowers and exceptional natural splendor. In the afternoon trek down to reach Ghangariya where you will stay for the rest of the night. Start trekking backwards to Govindghat and then drive to Rudraprayag via Joshimath and Karnaprayag. On arrival, check into hotel for overnight stay. After breakfast proceed to Rishikesh. A hub of masses of ashrams, yoga and meditation centers Rishikesh has emerged as the Yoga Capital of the World. The picturesque background of verdant hills, rippling sounds of holy River Ganges and soothing hill station breeze Rishikesh will rejuvenate all your jaded muscles. On arrival at Rishikesh check-in a hotel for overnight stay. Drive back to Delhi today. If you have not decided yet or wants to customize tour itinerary or hotels listed above in "Hemkunt Sahib Valley of Flower Yatra Package from Travel Masti", then we can change the travel itinerary and make a personalized, tailor-made holiday package, especially for you. We can modify this travel package as per your itinerary, budget, duration and the tourist places you would like to visit, including transportation and airfare should be included or not. Please fill the form below to contact us.